LEXINGTON, Ky. (Jan. 24, 2018) — Abstracts and mentor nominations are now being accepted for the 13th Annual Spring Conference of the University of Kentucky Center for Clinical and Translational Science. Abstracts are due Monday, March 5, and mentor nominations are due Monday, Feb. 26. The conference will be held Friday, April 13, 2018, at the Lexington Convention Center. The theme is “Opioids: Addressing the Public Health Crisis through Translational Science.” More details are available here. The call for abstracts is open to interested students (undergraduate, graduate, doctoral), faculty, research personnel, trainees/scholars and administrators. It is also open to those in government agencies, private foundations, and community organizations. No individual should be first author on more than one abstract. Submissions from individuals participating in research career training programs (e.g., NIH training programs, including T32, K12, COBRE, Physical Scientist and Clinical Research Scholar) are particularly encouraged. There is no fee to submit. Applicants will be notified of their presentation format (poster or podium) by Wednesday, March 14, 2018. Full details on submissions are available here. Abstracts may be submitted on any aspect of clinical health-related research, including: basic research with animal models of clinical disease and/or with human tissue; clinical research that involves human subjects; health-related clinical, epidemiological and/or community-based research; outcomes research; health services research; and behavioral science investigations. Preclinical research designed to inform clinical translational research is also permitted. Abstracts may describe work that has been or will be submitted at other meetings. The purpose of poster presentations is not only to provide presenters with the opportunity to talk about their research but also to receive constructive feedback from the mentors. In general, this takes the shape of a relaxed discussion about rationale, approach, analysis and conclusions. Mentors will almost always want to interrupt you to ask pertinent questions or clarify as you go along. Your abstract must be submitted online and be limited to 250 words, not to include diagrams, illustrations or other graphic objects. Based on your online submission, your abstract will be evaluated, compiled and electronically distributed to conference attendees and mentors. Presenters are responsible for printing their own materials. 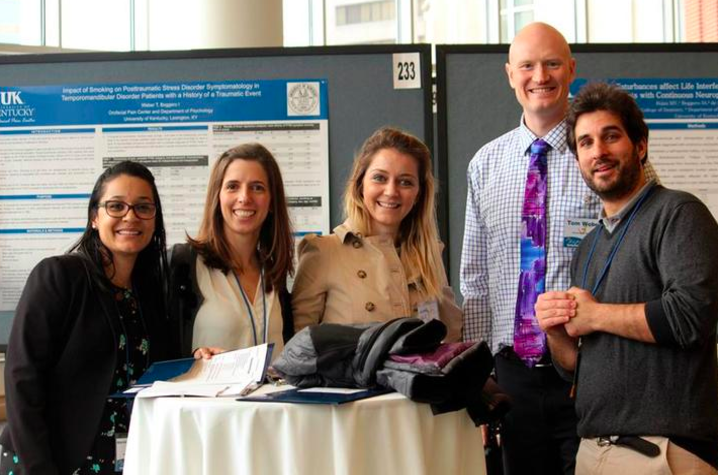 A note on poster presentations: The purpose of poster presentations is not only to provide presenters with the opportunity to talk about their research but also to receive constructive feedback from the mentors. In general, this takes the shape of a relaxed discussion about rationale, approach, analysis and conclusions. Mentors will almost always want to exchange with you to ask pertinent questions or clarify as you go along. The CCTS is accepting nominations of mentors to receive Research Mentor Recognition Awards in Clinical and Translation Science. If you would like to nominate your research mentor for this award, please submit your nomination by Monday, Feb. 26, 2018. Mentor Awards will be presented during the Keynote Luncheon of the CCTS Spring Conference, Friday, April 13, at the Lexington Convention Center. For questions about abstracts and mentor nominations, please contact Ryan Vicini at rlvici2@uky.edu or 859-323-8545.